Welcome again!!! Today we will discuss about the main part of the whole Quadcopter/Multirotors system. Here we will learn about Best Flight Controller for Quadcopter, Multirotor Flight Simulator. Before knowing about the Flight Simulators you must know the basics of Quadcopters or UAV or Multirotors. As we are discussing about Best Flight Controller for Quadcopter so we must know the about the system on which we want to implement it. Flight controller is basically the brain of quadcopter’s control system. A flight controller works like an traffic indicators which manage all the processes like which signal is given in which equipment all that. There are many flight controller available like KK2.1, APM3.2.1, MULTIWII, NAZA, NAZE32, CC3D, BrainFPV, MegaPirateAIO etc. The whole process occurs like that firstly we’ll transmit signal by make change in transmitter’s stick orientation and that signal is received by receiver which is mounted on Drone and that signal passes to Flight Controller board that’ll manage these signal and knows perfectly this signal is for which device. So below we will discuss about the Best Flight Controller for Quadcopter used for the UAVs. What they do in Quadcopter and Multirotors? 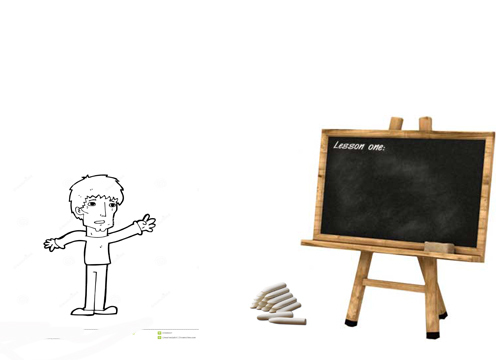 As shown in the above diagram and teacher suggest student to pick the chock and write your name in the black board without any displacement that means from his place. Is that possible? Student not able to do that task. Secondly teacher provided some arrangement like below to the student. Now he is able to write his name on black board as teacher suggest. So I think you can visualize the problem. 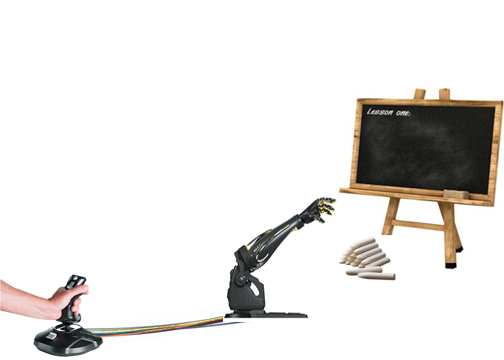 After providing the student the above arrangement, there is a control loop occurs in that loop our hand, joystick, robot hand are the part of the system and students eyes are work like a sensor which sense the position of the chock and give feedback to the brain and brain controls hand movement. Here student’s brain is controller of whole system. We are also use that plight controller in our first quadcopter that is HORNET-1. 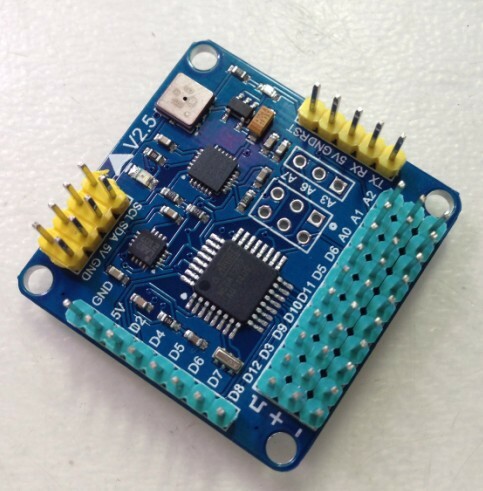 KK 2.1 is a pre-programmed basic flight controller board it has a predefine code for quadcopter and mutirotors. Here I’ll discuss about the pin configuration of KK and some feature of that flight controller board. You can see that the various pins in that board the left pins are used to connect the Receiver to the flight controller board which is arrange various motions like Throttle, Ailerons, Pitching, and Yaw etc. And the right pins are used to connect ESCs which are further connected to the motors this flight controller is designed to control eight different motors at same time. This flight controller is developed by RC hobbyist. They uses an Arduino board processor in that flight controller board. 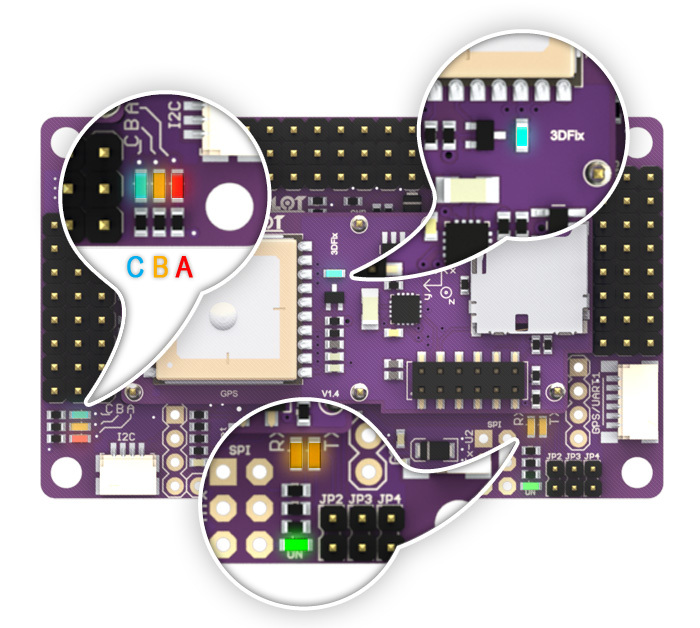 This type of flight controller bard are easy to operate and easy to program. The pin configuration of that flight controller shown in the above diagram. At the basic this is an simple flight controller board which use like KK2.1 but this controller not having some external buttons control we have to make connection between this board and laptop by using and Boot loader chip and from that we have to make changes inside that flight controller board. This is easy, flexible, and now a day GPS module connectivity is also built in that chip. This board not included some more advanced functions like altitude hold, RTL etc. We are using it in our second quadcopter which is completely AUTONOMOUS. APM that is Ardupilot mega this flight controller is basically use for some extra features to enhance our drone’s controls like to make it autonomous to make our drone fully autonomous we use APM flight controller because it has GPS connection inside the board and from that we can automatically control it by giving some predefine instructions and path points in some computer software like MISSION PLANNER. 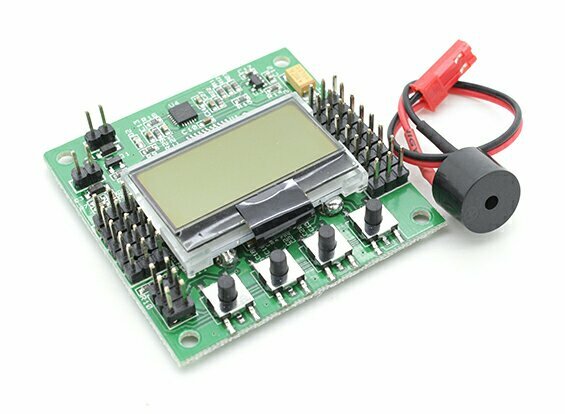 These type of flight controller are very economical and easy to use with GPS connectivity. If we want add some sensors or provide extra feature to our drone/quadcopter/multirotor then we can program it by using Arduino. Because the predefine code of this flight controller is written in Arduino language. This type of flight controllers are mostly in use because there are various sensors are inbuilt in that chip which are supports to reduce our Flight Controller’s weight that actually matters like Barometer, GPS, Accelerometer, Gyro etc. It comes in the category of one of which type of flight controllers that are much smarter than above mentioned. This flight controller having some advanced features like Air Speed sensor, Obstacle avoidance, Pilot following features, altitude hold and return to launch features are too amazing, Care free flight. This flight controller is too expensive and having much smarter features than above mentioned flight controller board. This flight controller board is the combination pack of all type of sensors which are requires to make our Multirotor/ Quadcopter too much advanced in feature. If you want to design an simple autonomous drone then APM is best option rather than it has some limitations like it can’t able to handle obstacle avoidance features. Which is very common in an autonomous drone. 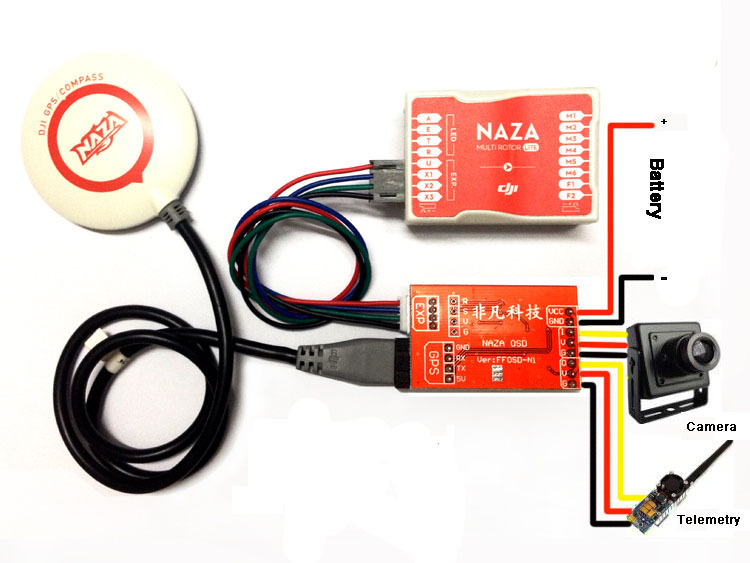 But if you want to design an fully autonomous drone with highly advanced features like mentioned above then NAZA microcontroller is better option than APM flight controller board. Hope you liked the above article about Best Flight Controller for Quadcopter, Multirotor Flight Simulator. How can we use it in various systems? If you liked the above given article do share us on social networking like Facebook, Google, Twitter and others. You can also take the reference from our website www.dronepic.co.in.